Speaking of Mickelson… the southpaw was the talk of the sporting world on Thursday, and it had nothing to do with his play at the WGC-Bridgestone. 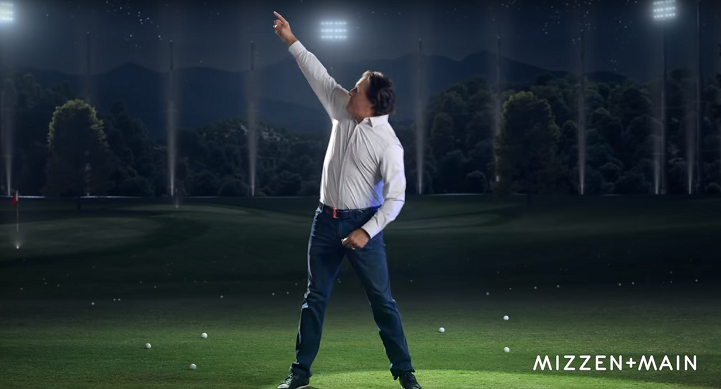 Mickelson was trending worldwide because his clothing sponsor, Mizzen+Main, released this hilarious commercial that featured the 48-year-old dancing on a driving range in the company’s signature long-sleeved button-down golf shirt while golf balls rocket past him. After his opening round, Mickelson explained to reporters that Mizzen+Main had approached him with the idea for a dancing commercial, and added that his wife, Amy, was immediately onboard the moment she heard about it. “It’s not the thing I’m most comfortable doing, but then Amy said ‘You should just tell them that you know how to do the worm’,” Lefty said. “After she said that, it was over; we were doing it. I don’t know. I think it’s fun to laugh at yourself, and certainly that’s what I’m doing in the commercial because it was a lot of work just to get those moves out of me.” Unsurprisingly, plenty of memes and gifs of Phil’s dance moves were created within minutes of the commercial going viral, and some of them were actually pretty darn good! Even Mickelson embraced all of the attention he was getting off of the course, reprising a few of his moves from the commercial during various points of his final round on Sunday. The best golf storyline of 2018 has not been the resurgence of Tiger Woods or Francesco Molinari becoming the first Italian to win a major, but rather the blistering hot play of 16-year-old phenom Akshay Bhatia. The southpaw first made headlines last August when he won the Junior PGA Championship in spectacular fashion, breaking the PGA of America scoring record with a score of 22-under par for the week. Bhatia has only ratcheted his play since then. In April, the Wake Forest, N.C., native won the Junior Invitational by a single stroke for his first win of the season. Two months later, Bhatia went wire-to-wire at the AJGA’s Polo Golf Junior Classic en route to a 10-stroke victory, carding an incredible 25 birdies on an extremely difficult Donald Ross design. And then last week, the high school junior notched a hat trick of victories for the season, defending his title at the Junior PGA Championship at Valhalla in one of the most dramatic ways possible: a chip-in eagle on the final hole of the tournament. 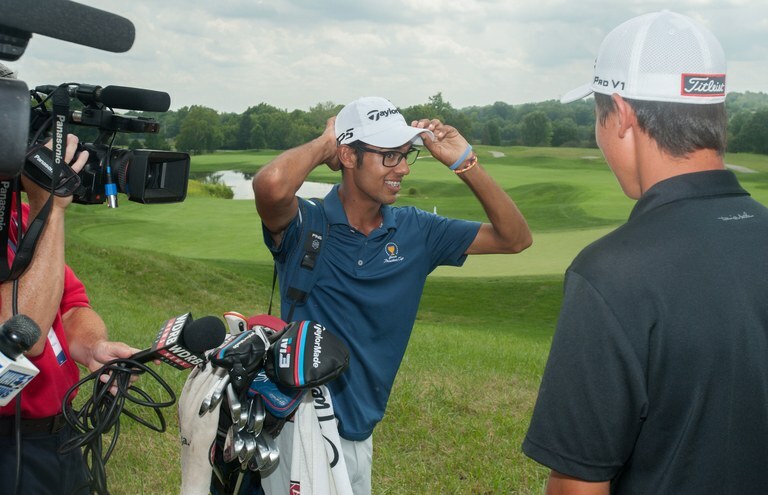 Tied for the lead with two holes to play on Friday afternoon, it seemed like Bhatia was a lock to earn his second straight Junior PGA Championship title. But an uncharacteristic bogey on 17 dropped him one shot back of clubhouse leader Tommy Stephenson with just a par 5 remaining. Bhatia hit a driver-3-iron combination through the green, leaving himself a treacherous downhill chip to get up-and-down and force extra holes. But Bhatia was more than up to the task and, with all of the pressure in the world pouring down on him, sunk the chip. Now, that is how you play the 18th at Valhalla. Eat your heart out, Phil Mickelson! Watch the video here. This golfer made better contact with his shin than he did with the ball! 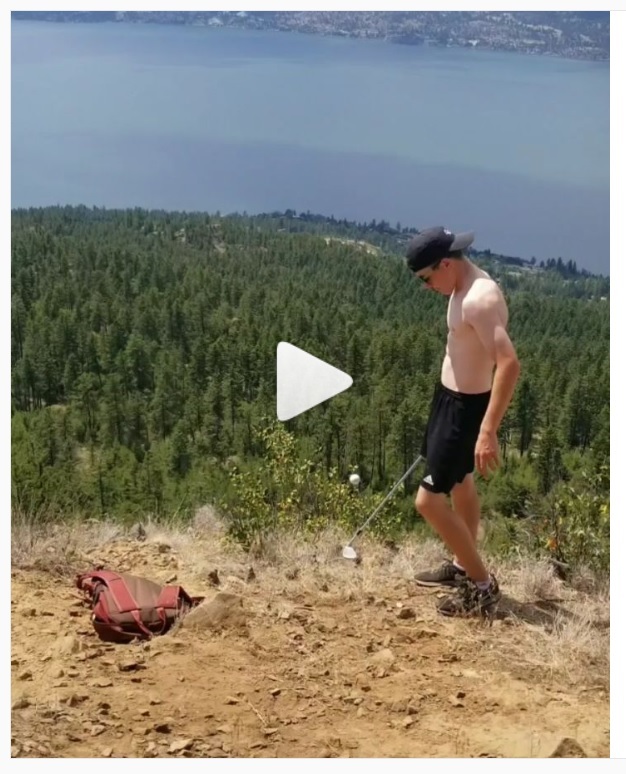 This probably would have been a pretty cool video if the guy had executed the trick shot. 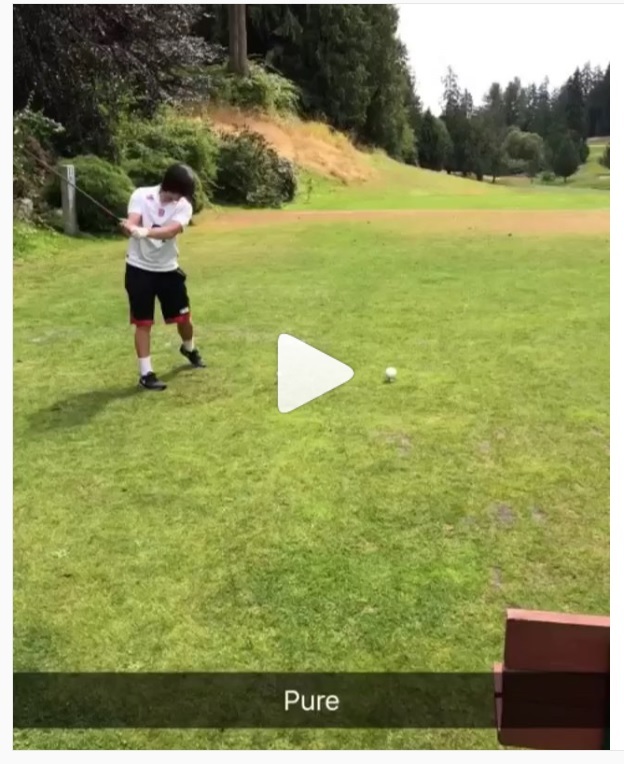 Unfortunately, he lost his grip on the club mid-swing and it went flying hundreds of yards into the forested valley below.